"My wife had an accident," Peterson says on the 911 call. "She's still breathing. She fell down the stairs. "However, blood-splattered evidence and a missing fireplace poker suggested it was a cold-blooded murder. Within two years, Michael Peterson was convicted of first-degree murder and sentenced to life in prison. 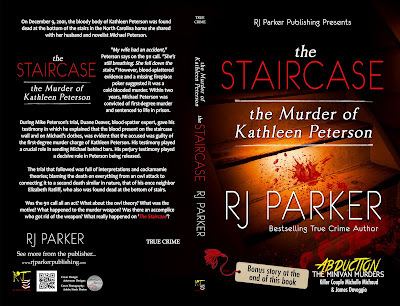 During Mike Peterson’s trial, Duane Deaver, blood-spatter expert, gave his testimony in which he explained that the blood present on the staircase wall and on Michael’s clothes, was evident that the accused was guilty of the first-degree murder charge of Kathleen Peterson. His testimony played a crucial role in sending Michael behind bars. His perjury testimony played a decisive role in Peterson being released. Fueled by methamphetamines and deviant motives, nothing was off limits for James Daveggio and Michelle Michaud. Not even their own children. Living out of a specially rigged minivan (a mobile torture chamber that included ropes, hooks, curling irons, duct tape, etc), this cold-blooded murdering duo kidnapped, tortured, raped and killed young girls from Reno, Nevada, to Sacramento, California. While the local and state police departments, and even the FBI, vigorously searched for the couple, they freely hunted for prey and carried out their months-long spree of abduction and murder. Warning: This true account is at times quite graphic which some may find disturbing.